A dental implant is usually a titanium screw that is placed in your jaw bone. The head of the screw remains outside of your gums and it is to this head that other dental solutions can be attached. They in effect become fused to the bone, and once an implant has been inserted it will usually remain there for the life of the wearer. It is a very solid base for any additional work that needs to be done. Good oral hygiene and regular visits to your dentist are important aspects of ensuring that these implants remain effective and the teeth around them remain healthy. The crown is the part of the tooth above the gums that can usually be seen in a healthy mouth. Crowns can be made to almost perfectly match the colour of your natural teeth, which is ideal for use near the front of the mouth. These porcelain or composite resin crowns can be shaped to appear like your ordinary teeth and ensure that there is no impact on your bite. The porcelain-based crowns will usually have a much longer life than the resin-based crowns. This will need to be determined during regular checks with your dentist. These crowns can be fused to the metal implants to ensure that they are strong and durable. Other materials are able to be used for the creation of the crowns, which includes gold as well as some base metals for less obvious areas in the mouth. It is possible to create a permanent replacement that will sit effectively in your mouth as a metal frame linked across the gap in your teeth with artificial teeth attached to it. A bridge can be a good choice when considering affordable dental implants. It might be linked to teeth on either side of where the gap occurs with a new crown as the base for their linkage. There are full or partial dentures that are removable. If it is necessary to fully remove teeth from the top or the bottom of the mouth, they can be replaced by an artificial set of teeth. These full dentures are held in place by suction or with the assistance of some form of glue. If there has not been a full removal of teeth, there is the possibility of creating partial dentures. These can be connected using a metal frame and then held in place with suction or glue, or even with the assistance of surrounding teeth. These artificial teeth can be shaped to fit the mouth and the bite ensuring that there is no discomfort while wearing it and providing a much better experience for the wearer while eating. Sometimes they can also play an important role in maintaining the shape of the mouth and cheeks, improving the comfort, and appearance of the wearer. 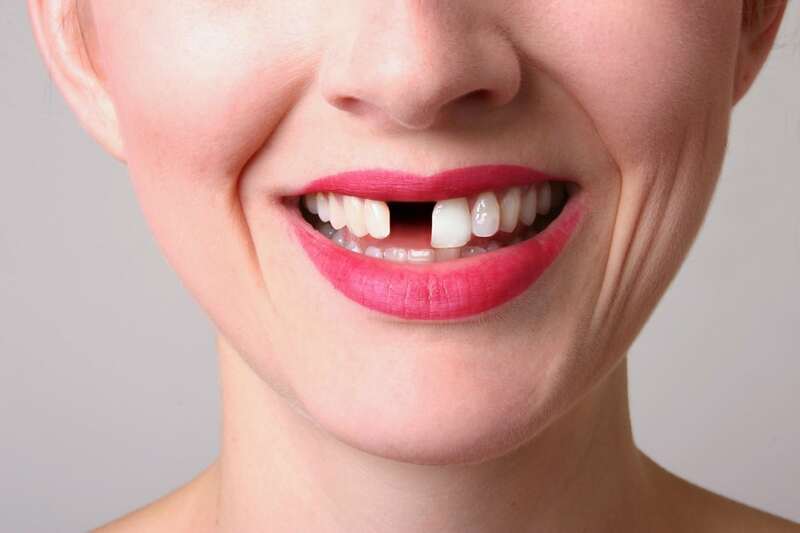 If you are considering replacing a lost tooth, then contact Dentist Collingwood by calling (03) 9417 6355. There are a number of options that can be considered, and we are always happy to provide you with the information you need to be able to make an informed decision.